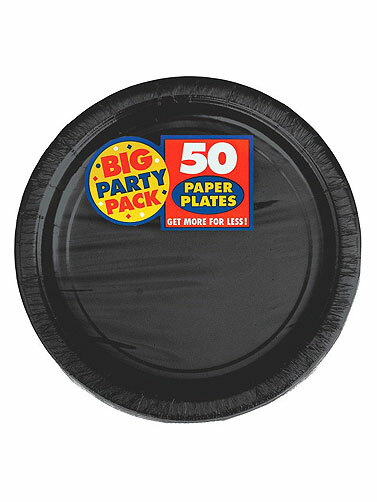 Black Party Pack Luncheon Plates includes 50 paper plates for your event. These jet black plates will compliment any Halloween party theme. Black Party Pack Luncheon Plates measure 9" in diameter. 50 Ct.